Since 1981, Alpha-Stim technology has been known for superior efficacy in managing pain related disorders. Now for the first time ever, there is an Alpha-Stim for the price of an ordinary TENS. Why is it so superior? The Alpha-Stim PPM uses microcurrent electrical therapy (MET) for those suffering from acute, chronic or postoperative pain. 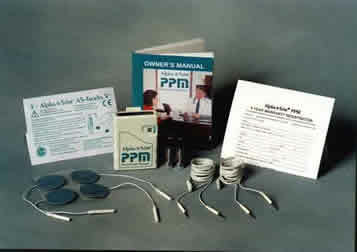 The Alpha-Stim PPM works with the body on a large variety of ailments, including difficult-to-treat problems. Alpha-Stim PPM microcurrent technology produces residual and cumulative results, far superior to previous traditional milliampere transcutaneous electrical nerve stimulation (TENS) devices. Turn a TENS off and the pain returns. Although broadly classified as a TENS, the Alpha-Stim PPM is significantly superior because MET works with tiny currents, closer to the type and amount of electricity that naturally occurs in the body. By comparison, the electric current used by typical TENS devices is thousands of times greater than natural body current. Although a slight tingling sensation is sometimes felt under the electrodes, it is not necessary to feel this in order to achieve results.Many people feel nothing at all with the Alpha-Stim PPM except positive results. 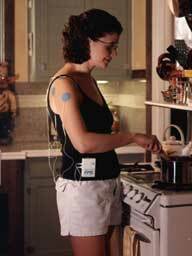 MET is applied through easy to use self-adhesive electrodes. Specific treatment protocols are included with the Alpha-Stim PPM and technical assistance is readily available by telephone, fax, e-mail or mail. Alpha-Stim technology is backed by more independent research than any other device in its class. Electromedical Products International, Inc. has been in business since 1981, treating a wide variety of medical disorders with Alpha-Stim microcurrent technology during that time with no reports of significant side effects. 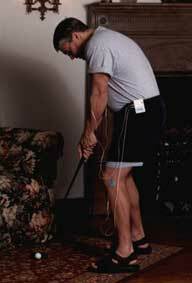 Results of using Alpha-Stim technology at home for a minimum of 3 weeks. For additional information see the article: Is microcurrent stimulation effective in pain management? An additional perspective by Dr. Ray B. Smith. American Journal of Pain Management, 11(2):62-66, 2001.
Who developed the Alpha-Stim PPM? How does the Alpha-Stim PPM work? The Alpha-Stim PPM is distinct in that it is based on the concept that the biophysics underlying the body’s biochemistry also plays a significant role in regulating all of life’s processes. Doctors are taught that there are about 75 trillion cells in a human body, each having an electrical potential across its cell membrane, similar to a battery. The Alpha-Stim's proprietary waveform works by moving electrons through the body at a variety of frequencies, collectively known as harmonic resonance. This is everything necessary to begin to use the Alpha-Stim® PPM right away for the management of acute, chronic or post-operative pain. Each new Alpha-Stim PPM is warranted to be free from defects of workmanship and materials under normal use for a period of five years except for replacement of batteries and accessories. See Owner’s Manual for complete details. CE conformity statement for Europe: The Alpha-Stim PPM is a Class IIa, Type B medical device. It has been independently tested by outside agencies in order to provide assurance of conformity to applicable standards for medical equipment safety and electromagnetic compliance. Caution statement for United States: Federal law (USA only) restricts this device to sale by, or on the order of a licensed health care practitioner. Outside of the USA it is available world wide without a prescription but consultation with a qualified health care professional is recommended for difficult and unresponsive problems. Indications: Alpha-Stim PPM technology is continuously being subjected to rigorous study and evaluation by the international medical community. Findings to date indicate that the Alpha-Stim PPM is an effective treatment with broad applications for a variety of syndromes involving acute, chronic, and post operative pain. In many cases it is the sole therapeutic method required. Effective results in pain management have been seen during and/or subsequent to stimulation over effected body parts, adjacent areas, and areas distant from those in pain. As with any therapeutic intervention, not all people will respond to the Alpha-Stim PPM. The degree of efficacy will vary with the nature of the problem being treated, the overall health of the person, and with the method of treatment. Contraindications: The Alpha-Stim PPM may affect the operation of cardiac pacemakers (particularly demand type pacemakers). Do not stimulate directly on the eyes, or over the carotid sinus (upper side of neck, below the ear and behind the jaw). Precautions: For external use only. Do not allow children to use or handle this device without adult supervision. Do not operate potentially dangerous machinery or vehicles during, and in some cases, for several hours after treatment. Caution is advised in cases where other forms of analgesia (pain control) would not be used; such as to retain the beneficial aspects of pain for diagnosis or in cases where people may overuse pain-controlled areas. Safety of stimulation has not been established during pregnancy. Adverse Effects: Adverse effects are usually mild and self-limiting. Adverse effects from approximately 4,541 patients participating in controlled, open, uncontrolled research, and by physician survey are skin irritation/electrode burns (5 cases, 0.11%), and headaches (9 cases, 0.20%). If the Alpha-Stim PPM does not control your pain within 3 weeks, consult your physician.